US one dollar bill for sale to collectors of paper currency of the U.S.A. 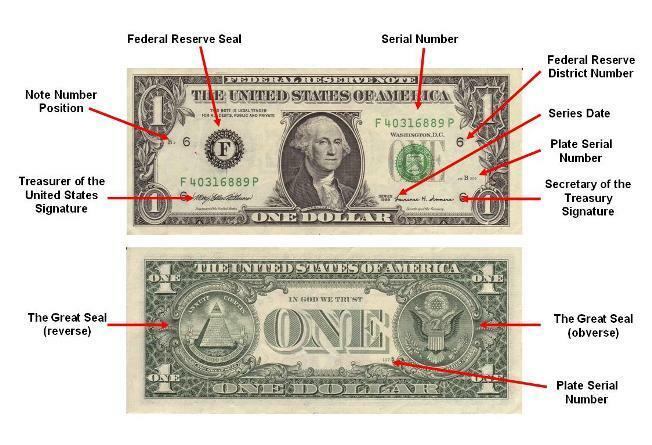 The United States one-dollar bill ($1) is a denomination of United States currency. The first U.S. President (1789-97), George Washington, painted by Gilbert Stuart, is currently featured on the obverse, while the Great Seal of the United States is featured on the reverse. The one-dollar bill has the oldest reverse design of all U.S. currency, while the two-dollar bill has the oldest obverse design currently being produced. The obverse design seen today on the one-dollar bill debuted in 1963 when it first became a Federal Reserve Note. The Federal Reserve says the average life of a $1 bill in circulation is 5.9 years before it is replaced because of wear. Approximately 42% of all U.S. currency produced in 2009 were one-dollar bills.